Given that it's the world's best-selling car - and second in the UK only to the Fiesta - the facelift of the Ford Focus is not an insignificant event. And this is more than just some new lights and a jazzy grille, Ford has taken on feedback from existing customers to overhaul the interior, add more economical engines and revise the steering and suspension. 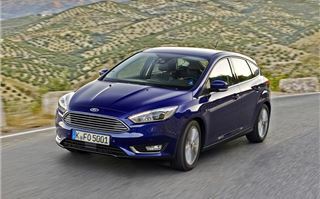 Few mid-life facelifts are dramatic and after three years on sale the current Focus still looks good so it's no surprise to see Ford not stray from that formula. That said it has given it a much sleeker appearance with that new front end and grille design taken from the latest Fiesta and forthcoming Mondeo which we'll finally see next year. At the back there are slimmer lights helping to give it a smoother look. The changes inside aren't immediately obvious but there are some key updates designed to improve comfort. These include resdesigned seats for better long distance support, a new steering wheel with easier controls on multifunction models, simpler instrument dials and a vastly improved stereo and infotainment unit. Gone is the button heavy central console, replaced with a much less cluttered design. 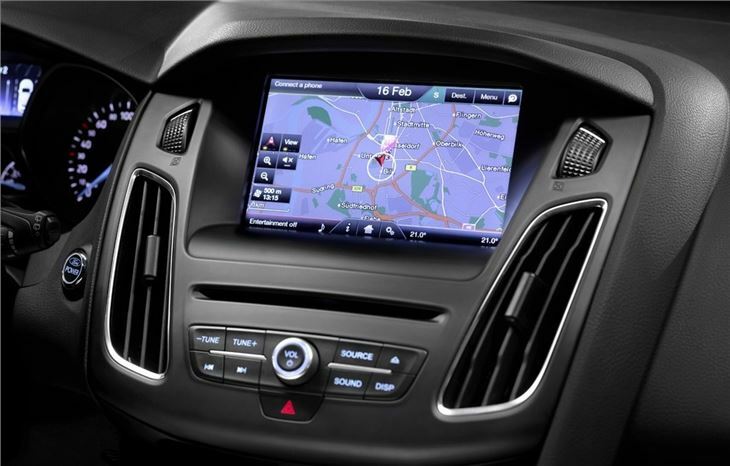 All models get a 5-inch colour display as before but top Titanium versions now come with a high resolution 8-inch touchscreen as part of Ford's Sync 2 system which is a vast improvement on before, both in terms of display and ease of use. The rest of the interior still feels as solid as before and Ford has worked to up the quality with touches like a better chrome trim used throughout. 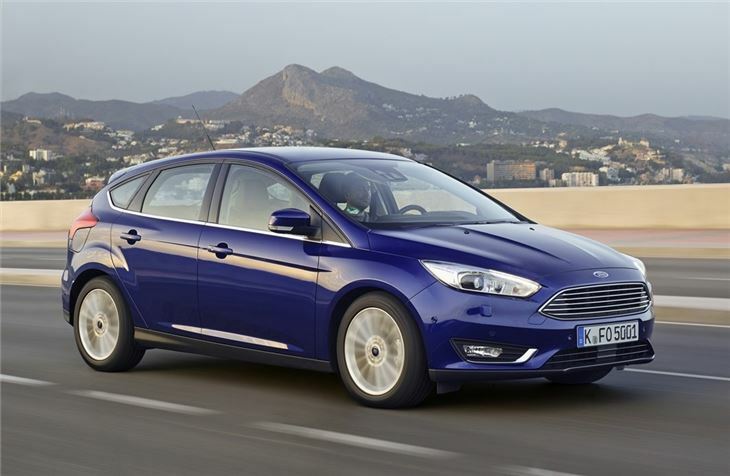 The Focus has always led the way among family hatchbacks when it comes to handling - it's one of the reasons it has proved so popular with critics and the public alike. Yet Ford still thinks there's room for improvement. It's stiffened the front end and given it firmer suspension at both the front and back, all designed to make it more responsive. Sadly it seems the opposite is the case. 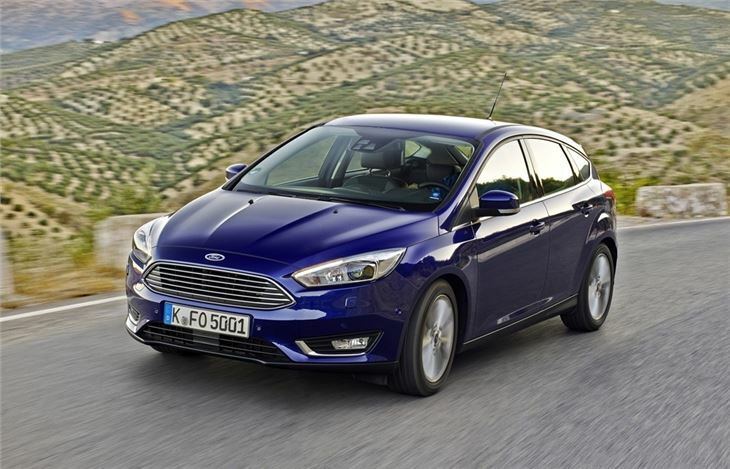 The Focus is still as effortless to drive as ever, but it's lost some of the sharpness it previously had, with the steering not as keen into corners. It's still one of the better hatchbacks to drive but it does seem some of that Ford sparkle has been lost. On the plus side the ride quality has improved and the Focus is now more relaxed at speed. It's quieter too thanks to improved noise insulation, new wheelarch inner linings and thicker door window glass. 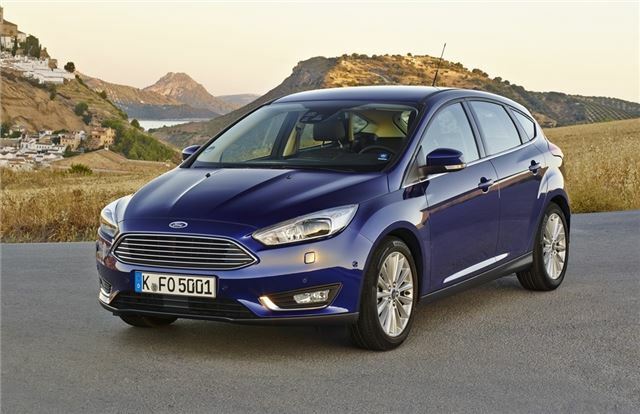 There are also changes under the bonnet with Ford introducing more powerful engines and more economical engines. The popular 1.0 EcoBoost, which has had mixed reviews, gets some significant improvements with a new turbo designed to give more response at lower revs, plus less noise and hopefully better real world economy. Sadly we weren't able to drive this on the launch but we'll be able to bring you a UK road test soon. Other changes include the introduction of a six-speed automatic for the 1.0 which will arrive later in 2015. The 1.6-litre petrol engine continues as before and there's a new version of the 1.5-litre EcoBoost engine with an impressive 182PS. This is available alongside the 150PS version and it's equally as smooth and refined, giving the Focus an impressive turn of speed. While it's good, most buyers are unlikely to require this much power and with the cheapest version priced at more than £23,500, it's not exactly cheap either. There's a new diesel in the shape of a belt-cam 1.5 TDCi available in two versions of either 95PS or 120PS. Both have the same 270Nm of torque which means good low down pulling power but it's the economy that really shines through with both returning a claimed 74.3mpg while CO2 emissions of 98g/km mean zero VED. 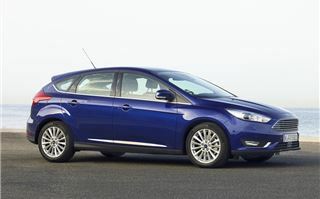 Alongside this is the older 1.6 TDCi unit that's still offered although Ford will soon phase this out. 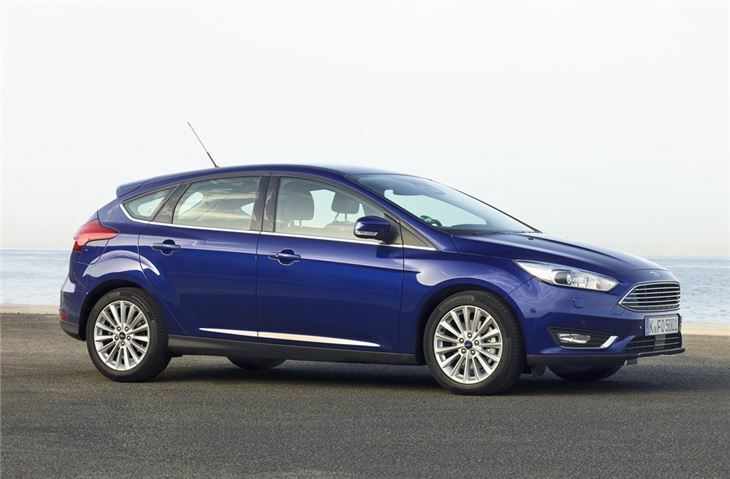 The good news for those wanting a diesel automatic is that Ford will finally introduce a 1.5 TDCi PowerShift in March 2015. It will come with paddleshifts on the steering wheel as part of the interior redesign and should be smooth and economical. 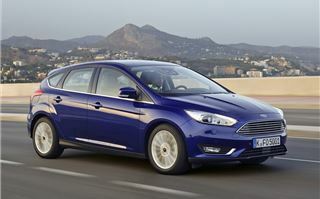 It will doubtless prove a popular choice in the Focus range. Prices for the revised Focus stay the same as before - and in some case are actually lower with Titanium and Titanium X models £100 cheaper. Standard equipment levels are good with all models, apart from the basic Studio, getting DAB radio. Ford has also kept its options reasonably priced so a rearview parking camera is just £165 while you can get a heated steering wheel for an extra £95. 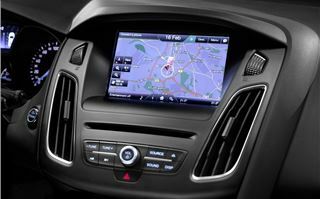 Navigation is only £500 which seems good value for an integrated system. 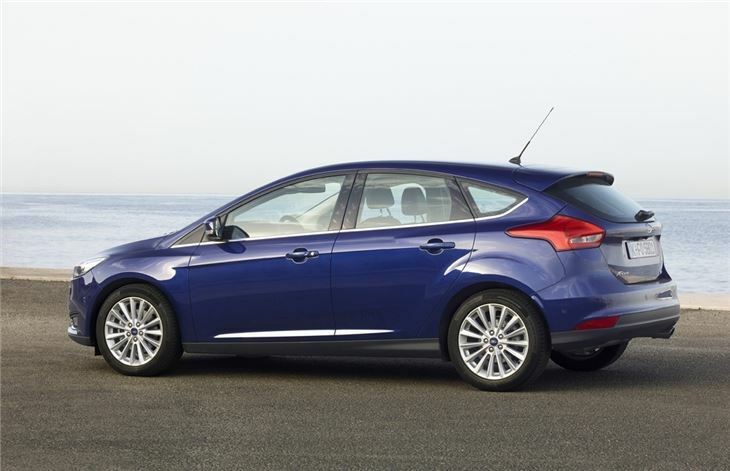 Ford hasn't attempted to reinvent the Focus - it knows not to meddle too much with a winning formula. And while keen drivers might bemoan the loss of sharpness in the handling, most owners will find it more comfortable, quieter and just as easy to drive. The 1.5 TDCi engine means it's also very cheap to run while the improvements inside address one of the main criticisms of the old car. 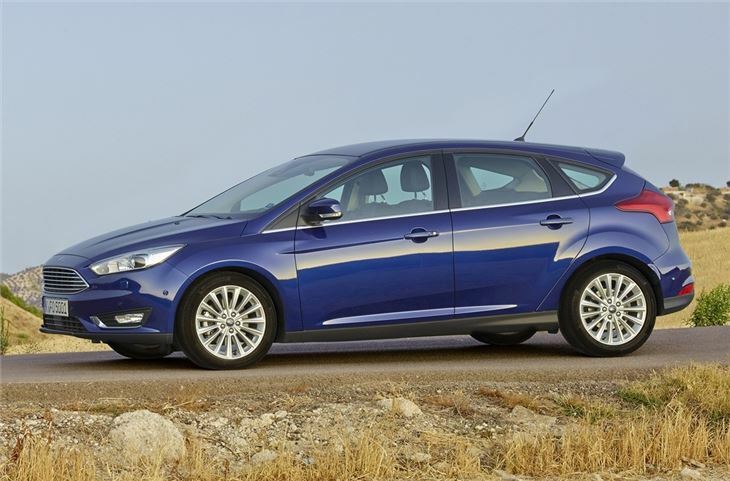 While it may have lost some of its sparkle, the Focus still shines.